So far Carl Paoli covered the basic styles of rope climbing: Russian Wrap and Spanish Wrap. The next step was the intermediate level: Legless Swing Kip. Today's How-To is the faster version of the previous one: short, fast and kicking style of the kip. 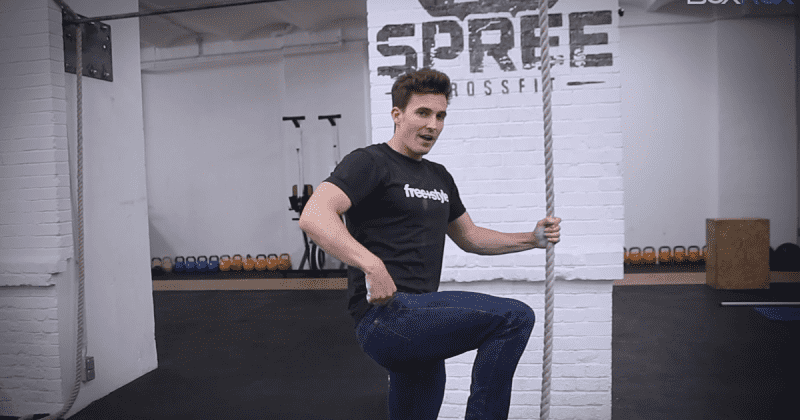 The following how-to was designed by a movement expert specializing in strength and conditioning for Crossfit, gymnastics and action sports coach Carl Paoli. Carl recently published his new book where he presents the art of movement and give you a personalized program that shows how to connect four basic movement styles to fit specific purposes. Find out more (click here). Instead of doing the long swing, focus on the shorter and faster kip, similar to the one you use while performing kipping dips: knees drive up – explosive kip. Grab the rope and do a partial knee to elbow. Once the knees reach above the hip level, kick up. As you driving the knees up, use the weightless momentum to explosively extend, snap and drive up with the hips. This movement will give you the opportunity to take a step up (climb up). Keep in mind that this style is not a swing, it’s a vertical pull which allows you to take bigger steps and move faster. On the way down, chose the style you feel comfortable with. Jumping is faster, but also presents a higher risk. 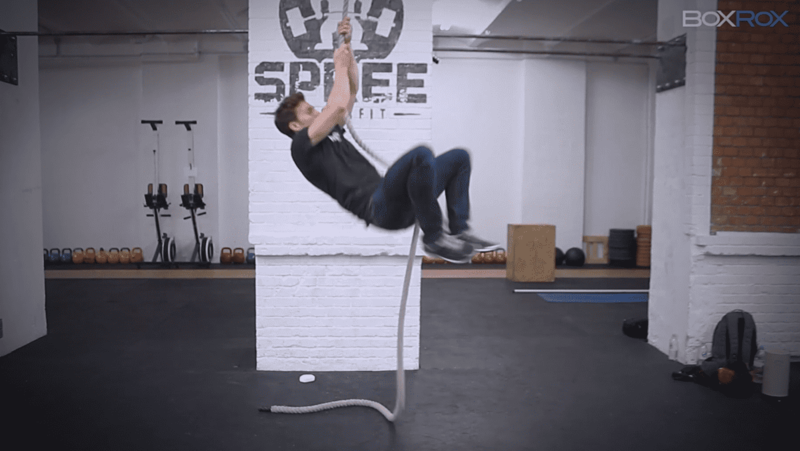 Climbing up and down the rope, especially on time during the WOD, presents a certain risk of developing rope burns. Rope burns are caused by the friction between your hands and the manila (strong fiber the ropes are made of). This happens when you slide off the rope too fast. 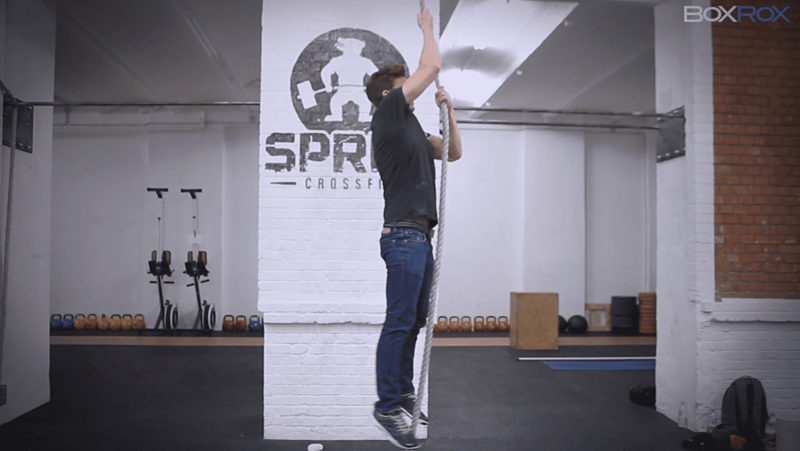 To prevent these painful wounds that can put you off the bar for a few days, make sure you use partial squats to descend from the top (see our first how-to rope climb) or try wearing gloves. If the burns do appear, see our how-to hand care article where we explain how to treat wounds and injuries cause by climbs, pull-ups and toes-to-bars.